The upcoming peace and security summit will be an opportunity to break new grounds. Cameroon and Angola may not have geographical boundaries but issues of common interest bind the two brotherly countries together. And leaders of the two nations are working tooth and nail to improve their bilateral relations as well as safeguard the territorial integrity of the Central African Economioc Community to which the two countries belong. It is this security issue that prompted the President of Angola, Joao Lourenço, to dispatch his Minister of Foreign Affairs, Manuel Domingos Augusto, to Unity Palace on Friday February 23, 2018 with a sealed message to his Cameroonian counterpart, Paul Biya. 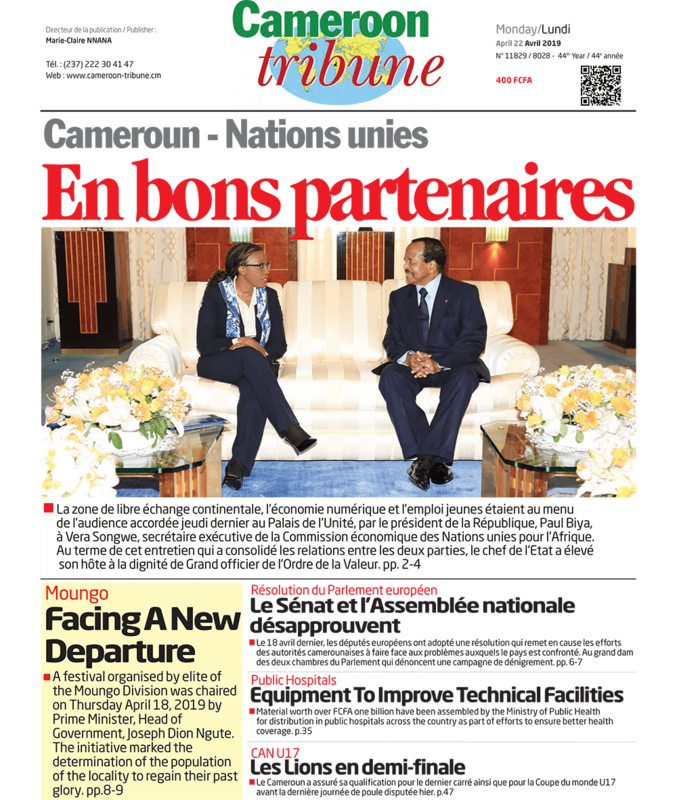 Even though the content of the message remains confidential, declarations by the envoy spoke of consolidating bilateral relations between Cameroon and Angola and ensuring the safety of persons and their property in the region. Conditions necessary for sustainable socio-economic development. The envoy told reporters after holding talks with the Cameroon Head of State that, “I came to Yaounde as a special envoy of the Angolan President to deliver a message to President Paul Biya concerning bilateral relations between Cameroon and Angola but also about regional issues. As you know, Cameroon and Angola belong to the Central African Economic Community and there is need to exchange views on goings-on in the region.” The central place of Cameroon in the region and the position of Presidential Paul Biya as dean against a backdrop of security challenges merit reflection at the highest levels. “The region is a place of some conflicts notably Democratic Republic of Congo and Central African Republic,” the Angolan envoy said. Preparations for the next summit on security and defence which is scheduled for Libreville in the days ahead could have been the main focus of the audience. Information shows the summit of the Peace and Security Council of Central Africa (COPAX) will be held in early March 2018 in Libreville, Gabon, to discuss conflicts in the sub-region.